Philippines-based operator Melco Crown (Philippines) Resorts Corp announced on Tuesday it has officially rebranded itself as “Melco Resorts and Entertainment (Philippines) Corp”. The Philippine Stock Exchange-listed firm’s stock ticker name would also change from “MCP” to “MRP”, the firm said in a filing. The rebranding of the Philippines unit follows a similar move from its parent company, Nasdaq-listed Melco Resorts and Entertainment Ltd. Melco Resorts adopted the new name following a series of sell downs by its business partner, Australian casino operator Crown Resorts Ltd.
Hong Kong-listed Melco International Development Ltd, controlled by Lawrence Ho Yau Lung, now owns a majority position in Melco Resorts, while Crown Resorts has disposed of its entire stake in that company. Melco Resorts Philippines operates the City of Dreams Manila casino resort (pictured) in the Philippines capital. Both the Manila property and the City of Dreams resort in Macau currently have one hotel that carries the name Crown Towers. In an interview this week with Chinese-language newspaper Macao Daily News, Mr Ho confirmed that Melco Resorts wants to run directly the hotels in both properties, meaning the company intends to replace the Crown brand with its own brand. 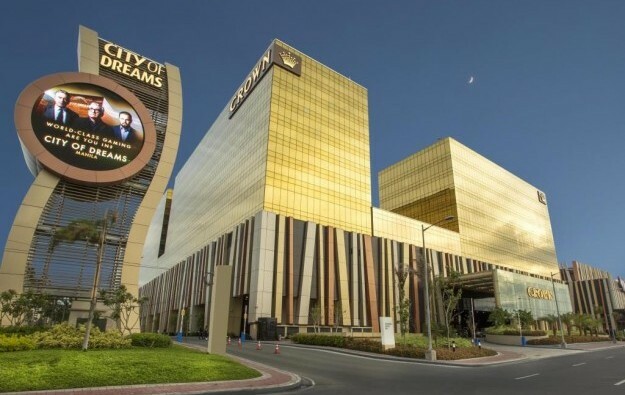 The exception would be the partnership with the Hyatt brand which is present at City of Dreams in Macau and City of Dreams Manila, and which helps promote the exhibition and convention business, added Mr Ho. In Macau, Melco Resorts already announced that it would be dropping the Hard Rock brand from its City of Dreams resort. Since 2015, Melco Resorts Philippines has returned almost eight times more than a Bloomberg Intelligence index of global casino stocks. The City of Dreams Manila should continue to benefit from rising numbers of Chinese visitors to the Philippines, according to a recent note from Aegis Capital Corp.